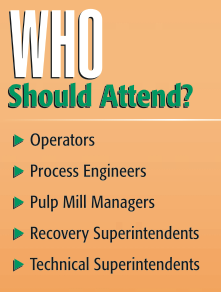 Learn how to improve recovery yields and lead the effort toward better profits and efficiency at your mill. Register before February 9 for a $100 discount. PCA and TAPPI members get an additional discount offered by PCA in partnership with TAPPI. Discover more from the complete brochure. We look forward to seeing you in Atlanta, March 10-12. Make your hotel reservations by February 15 to assure availability.